The way we age is due to a combination of intrinsic factors such as our genetics and external factors involving our environment and lifestyle. Over time, we see visible signs of loss of volume, wrinkles, a loss of density and radiance. Facial volume loss can alter the shape and structure of the face giving rise to saggy skin, loss of contours and a ‘drawn’ appearance. A youthful face is associated with an attractive appearance; high cheekbones, smooth skin and a lean, well defined jaw line. As we age, this triangle that was once wider at the top, inverts with a sagging jaw line and flattened cheeks. The face appears much heavier and sometimes sad or stressed with deeper lines and a downturned mouth. These changes occur as there is a gradual decline in the plumping, ‘filling’ substances that keep skin looking firm and smooth. 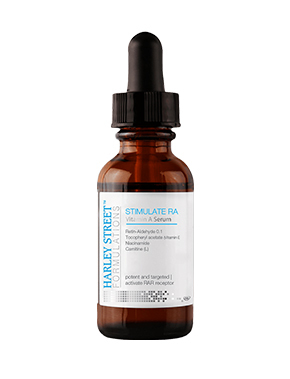 Hyaluronic acid production declines and fine lines appear whilst the skin starts to appear dry and rough. Collagen and elastin diminishes resulting in sagging, less elastic skin. Blood flow is reduced giving rise to a dull, dehydrated appearance lacking density and radiance. Hormones: With age, oestrogen levels decline and skin becomes thin and dry. Smoking: Nicotine and chemicals degrade collagen in skin. 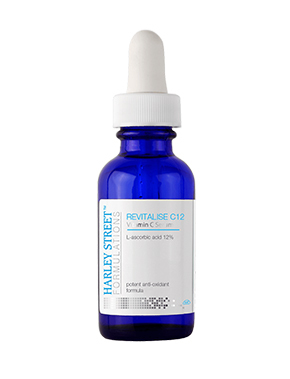 Peptides: Matrixyl triggers collagen synthesis and helps create a firmer skin structure. Vitamin C: Protects from free radical damage. 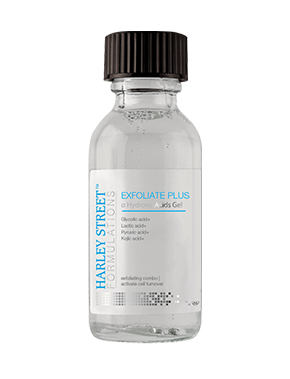 Hyaluronic Acid: Retains water, plumping skin. Also an antioxidant. Alpha Hydroxy Acids: Increase the skin’s dermal thickness promoting collagen and hyaluronic acid. Vitamin A Products: Improves cell turnover, smoothing skin and evening tone. Enhances collagen production and reduces breakdown of elastin. Thickens and stimulates the dermis. There are a range of fillers available suitable to restore deep volume loss and enhance contours. 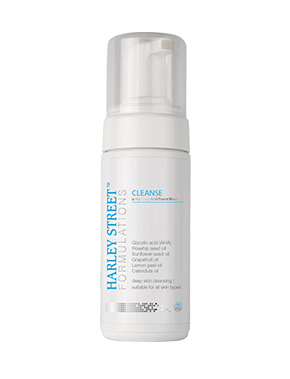 These can help to fill flattened cheeks and temples, restoring facial curves and helping to lift lower facial sagging. Hyaluronic acid & radiesse fillers are frequently used to plump the grooves that can appear from the nose to the corners of the mouth. Definition of the chin and flaccid lips can also be restored. Polydioxane (PDO) threads are very useful in increasing volume by inducing natural collagen production via a mechanism known as mechanotransduction. Threads come in various sizes and are inserted in the skin via small needles. They are the same material as used in surgical procedures daily by surgeons around the world. Longer threads with small hooks on them can be used to create lifting effects such as is done in the non surgical face lift with PDO threads.PDO threads dissolve within 6 months but the effects lasts for years to come. For more information please click here. Why Facial Volume Loss Occurs? The facial volume loss is primarily caused due to the ageing process and genetics. Other factors which contribute towards facial volume loss include lifestyle habits, stress, any traumas and the use of medications that accelerates the process. Facial volume loss can also result due to severe and intense dieting. How Facial Volume Loss Becomes Visible? As the fat and collagen in facial tissues depletes, fine lines and wrinkles start to appear. Other indications of facial volume loss include loose facial skin and sagging jaw line, flat cheeks with hollow eye sockets, appearance of fine lines around the nose as well as nasolabial folds. At What Age Facial Volume Loss Starts To Appear? This condition varies from person to person however it commonly starts during 20s. At this age, the natural support system of skin starts breaking which results in the progressive loss of facial volume in areas including cheeks, temples, forehead, eye sockets and jawline. With ageing, this process further speeds up by the other factors including behavioural and environmental factors. Is The Treatment For Facial Volume Loss Painful? There can be slight pain and discomfort during the facial volume loss treatment using dermal fillers. The pain is minimized using the topical numbing cream which numbs the treatment area. In PDO threadlift treatment, there can be mild discomfort along with swelling and bruising which usually subsides in few days. Which Treatment For Facial Volume Loss Will Prove Good For My Condition? This largely depends on the extent of facial volume loss and your age group. For those patient who are in their late 20s and early 30s facial volume loss can be effectively treated through prescription and cosmeceuticals medications and dermal fillers while for patients who are in late 30s and early 40s PDO threadlift is highly effective option.